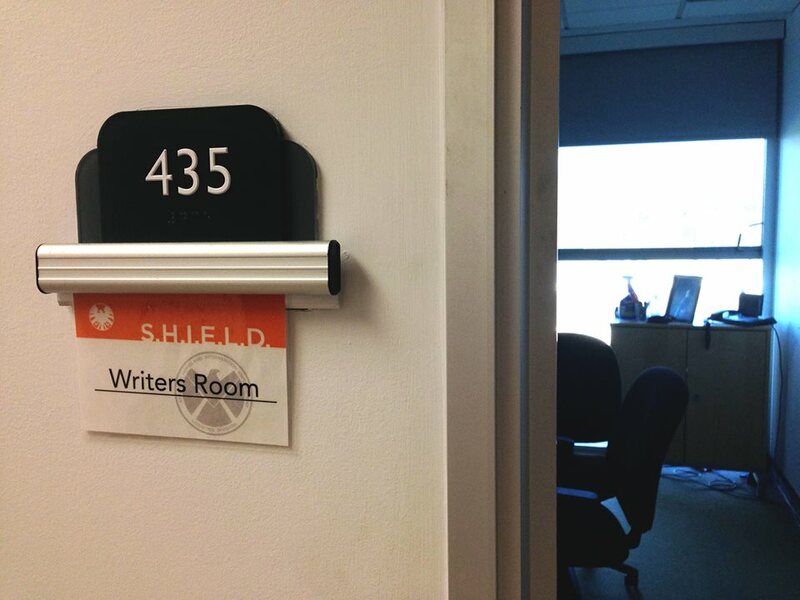 Agents of SHIELD Writers Have Reported for Duty for Season 2! Agents of S.H.I.E.L.D. has come a long way in the year that it has been on the air. It started with the almighty and seemingly indestructible S.H.I.E.L.D. agency that did indeed fall. With the fall of S.H.I.E.L.D. it gave rise to a new legion of obstacles for the former Agents of S.H.I.E.L.D. to deal with. While dealing with these external issues, there were also the issues happening within the team and within their own heads. 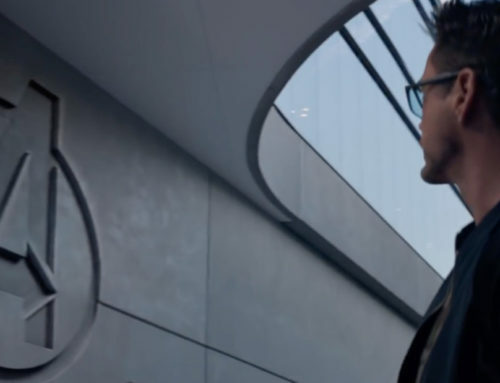 The death of Director Fury, the resurrection of Coulson, the betrayal of Agent Ward each could have been a game changer for the show but instead, they were all thrown at Agent Coulson and his team. 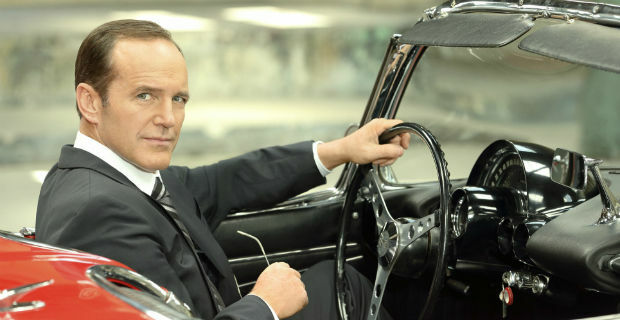 With the end of Season 1, Agent Coulson had been made director. The final scene found him writing on the wall…. setting up Season 2 for the rebuilding of S.H.I.E.L.D. with a director who may or may not be all there. The possibilities are endless and they are already being worked on by the writers of the show. Clark Gregg has another project he has been getting interviewed about, Trust Me. 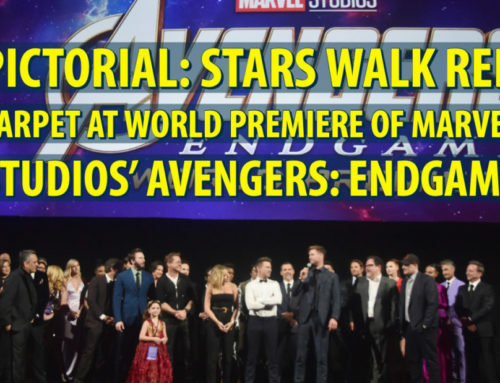 While making the rounds for this film, he also has been lobbing a few small details about Agents of S.H.I.E.L.D. Season 2. One of the ongoing plot-lines last season had Agent Coulson trying to figure out what exactly happened to him and by extension, who he really was. This led him to some frightening discoveries. As Gregg mentioned, the head of S.H.I.E.L.D. might not be all there. One thought on this, Directory Fury knows all of the side effects of this project and knows Coulson. I do have to wonder if there will be some reveal where there is a bigger part of the process (or recovery) than even Director Coulson knows about? Fury never seems to reveal all of his cards so I would like to think that there is hope for Coulson beyond falling into insanity or worse. We can bet that these quirks that Director Coulson will be dealing with will cause some conflict from both within his S.H.I.E.L.D. team and also outside of it. It would not be out of the realm of possibility at all that there is the discussion about Director Coulson’s ability to lead. In fact, it would almost be shocking if the question isn’t asked “Is Coulson fit to be director?” It seems that what I’m calling the Coulson Conundrum has to be a bit part of this next season. The future of S.H.I.E.L.D. is obviously going to be a central topic in Season 2 ofAgents of S.H.I.E.L.D. The organization went from being a super powerful organization with seemingly unlimited resources to a small team with a plane and a few secret hideouts; each with one agent stationed at it. To use a Star Wars metaphor, S.H.I.E.L.D. went from being basically the Empire to being one band of Rebels. Now they will be fighting without all the technology and backup that they once could count on. They are also fighting a very powerful Hydra now. In some ways, this is similar to portions of 24 when Jack Bauer was off the grid. The new S.H.I.E.L.D. will have very few friends and will be seeking to reinvent itself and re-establish its relevancy to the world. 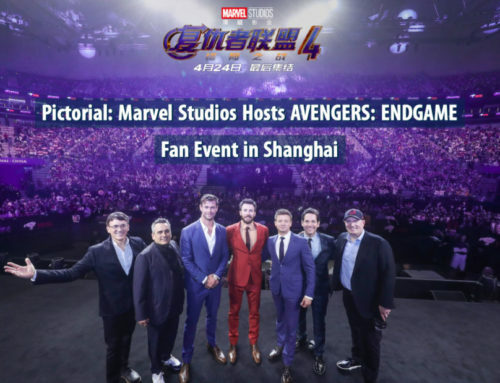 This will most likely end up connecting with The Avengers: Age of Ultron by the end of Season 2. The James Bond thing could be fun as well as it could lead to action, humor, and of course some of the quirkiness. This most likely will be set in a much darker, more serious, world that was left behind after Captain America: The Winter Soldier. Agents of S.H.I.E.L.D. Season 2 is currently being written. At this point, not a whole lot is known specifically about what will happen. There are just general assumptions that can be made (that could be completely wrong) from what happened during the first season. A couple of things to remember is that Joss Whedon is involved, nobody is safe from elimination. This is also a Marvel television show and will therefore fit into the bigger picture of the Marvel Universe. Be looking for the connections between Agents of S.H.I.E.L.D. and upcoming Marvel movies and other television shows. It’s all part of a bigger puzzle (#itsallconnected). There is still a couple of months until the return of Agents of S.H.I.E.L.D. These months will be full of speculation and study of every interview and release as fans try to figure out where this show will go in the coming year. Agent Carter connections haven’t been mentioned yet but… there is still time and future blog posts for that! What do you think will happen in Agents of S.H.I.E.L.D. Season 2? Are you excited for it? What did you think of the first season? Share your thoughts with us below! I’m on pins and needles to find out what happens next. I loved the show from the beginning and adore how it fits into the MCU. I completely agree with you! Do you have any predictions?